Quality & Elegance Can be found in this turn key 3 Bedroom, 3 bath Villa located on the Mississippi river . This spacious villa comes totally furnished ! Open staircase leads to finished walk-out lower-level with family room with fireplace , 3rd bedroom, bath & wet bar, walkout lower level has nice patio. 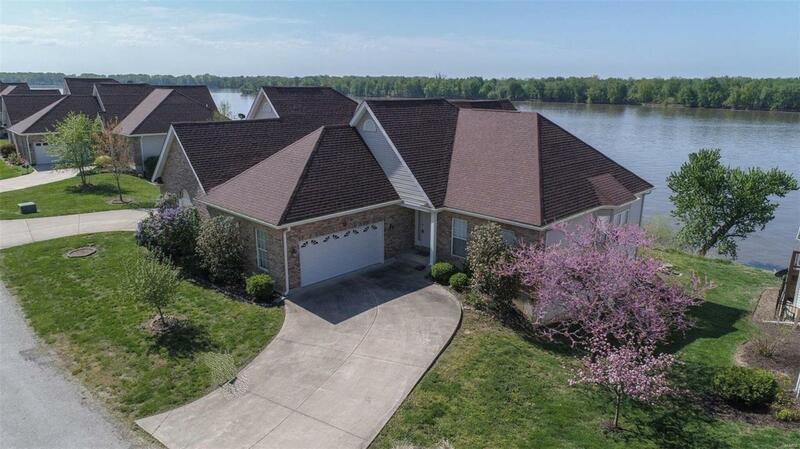 Vaulted ceiling in great room with fireplace that leads to deck with breathtaking views of the river,hardwood floors,formal dining room,well equipped kitchen, 2 fireplaces , water softener . All exterior maintenance provided with HOA fees. Great Villa style living just minutes from Grafton or St. Charles. Main floor laundry with washer and dryer.Do not miss out on this turnkey oasis ! HMS Home Warranty provided.